The start of the 22nd annual U19 Coca-Cola Khaya Majola in Bloemfontein was delayed by an hour on Thursday at four of the six venues after a massive overnight thunderstorm resulted in wet run-ups, waterlogged outfields and some water leaking under the covers. The potential crisis was, however, diverted thanks to the customary team work and innovation and the cream of the country’s U19 players eventually got a full day’s play in, in steamy conditions in the city of Roses. The damp conditions, not surprisingly made batting difficult initially and all the sides lost wickets early on. In the end four teams – SWD, Western Province, Border and Namiba – won on the first innings on a day when declaration cricket was the format played. The first day belonged to the batsmen. 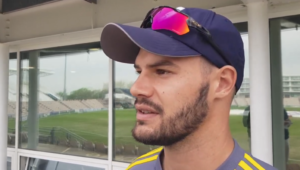 Gauteng’s Mitchell van Buuren got the 1st century of the week, and the only one of the day, when he made 106 in his side’s draw with KwaZulu-Natal Coastal. There were also 12 half centuries scored. 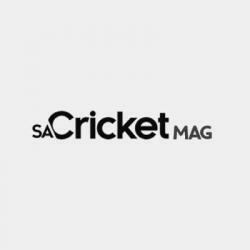 Big fifties came from EP’s Matthew Breetzke, who made 77 against Northerns; Grant Esau of SWD, who made 82 against Mpumalanga and Eben van Wyk, who got 75 for Namibia against Limpopo. The other half centuries were scored by: Wiaan Mulder (54 for Gauteng vs KZN Coastal); Muhammed Mayet (57 for Gauteng vs KZN Coastal); Qeshile Sinethemba (58 for Border vs Northern Cape); Josniel Long (62 for Border vs Northern Cape); Nkosinathi Msiza (60 not out for Northern vs E Province); Joshua Klein (65 not out for SWD vs Mpumalanga); Jesse Christensen (51 for Western Province vs KZN Inland) and Keegan Whittaker (58 not out for Boland vs Northwest). There was only one five wicket haul on the day: Eastern Province’s Keenan Smith took 5-68 against Northerns. The Coca-Cola Hero of the day award went to Gauteng’s Mitchell Van Buuren, the day’s only centurion, for gutsing it out on a difficult pitch against hostile bowling from KwaZulu-Natal Coastal. Gauteng were on 14-3 when he came to the crease. Together with his captain, Wiaan Mulder, he rebuilt the innings, putting on 109 for the fourth wicket. Once things had settled down he cut loose and ended up with 106 – a heroic performance that saved Gauteng’s three-year unbeaten record at the week when it looked at one stage like they were in danger of surrendering it. Eastern 224-6 (Jarred Adler 77; Gerald Coetzee 2-23, Phillip Visser 3-55). Free State 145-5 (Dilivio Ridgaard 50, Gerald Coetzee 32 not out; Devon Botha 2-31, Kyle Landsberg 2-46. Easterns 2nd inns 8-0. Match drawn. Poland 143-5 (Andre Hanekom 35, Bernu Engelbrecht 43, Ben Henderson 27, Keean Whitten 58 not out; Jacobus Crowther 2-63, Louis Van Schalkwyk 2-29). Northwest 135-4 (Louis van Schalkwyk 49 not out, Ruan Von Abo 32). Match drawn. Northern Cape 148-7 (Simon Muller 40, Luke Dallas 3-37, Ahkona Nnyaka 3-33, Siphamandla Kreqe 2-30). Border 164-4 (Sinethemba Qeshile 58, Josniel Long 62 not out, Athenkosi Mfazwe 28 not out; Chadwin November 3-38). Match drawn, Border won on 1st innings. Gauteng 241-7 (Wiaan Mulder 54, Mitchell van Buuren 106, Muhammed Mayet 57; Zakariya Paruk 3-29, Zakariya Paruk 3-29, Matthew Lees 2-69). KwaZulu-Natal Coastal 147-8 (Thamsanqa Khumalo 29, Jordan Grobbelaar 44 not out; Mitchell van Buuren 2-26). Match drawn. 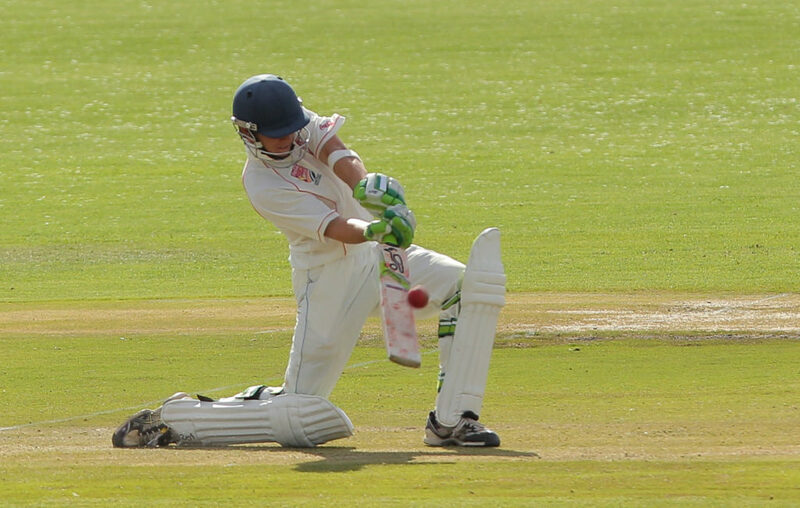 Northerns 201-9 (Ivan Kriek 30, Ruben Trumpelman 36; Nkosinati Mzisa 60 not out; Keenan Smith 5-68, Jade De Klerk 2-57). Eastern Province 154-5 (Matthew Breetzke 77, Chris Benjamin 36; Ruben Trumplelman 2-24). Match drawn. SWD 224-9 (Grant Esau 82, Joshua Kleu 65; Bernard Forster 2-41). Mpumalanga 40 (Unathi Mbathane 3-1, Joshua Kleu 3-0). SWD 2nd inns 17-0. Mpumalanga 2nd inns 62-3 (Bernard Vorster 21 not out). Match drawn SWD won on 1st innings. KwaZulu-Natal Inland 119 all out (Sean Gilson 34, Ethan Bosch 38, Michael Cohen 3-19, Mazele Sisonke 2-27). Western Province 171-9 (Jesse Christensen 51, Matthew Valentine 20, Mihlali Mongwana 40 not out; Jaydon Gengan 3-50, Ethan Bosch 2-28, Sean Gilson 2-11). KwaZulu-Natal Inland 2nd inns 48-1. Match drawn, Western Province won on 1st innings.